As I was scrolling through some images over the weekend, I found this particular picture that words spoke a hundred different words. For some particular quotes or motivational messages, they can usually speak to a particular type of person, however for this one that isn't the case. It does not matter who you are, what your ambition is in life, what you consider your morals or values, one word can change a person’s day in a second. It can be as simple as a compliment, a question, a simple “How are you?” or just stepping out of your way to speak to them. From someone’s day being sad and stressful, it can ultimately relieve them from their worries, even if it is only for a spilt second or give someone the boost of confidence that they need. 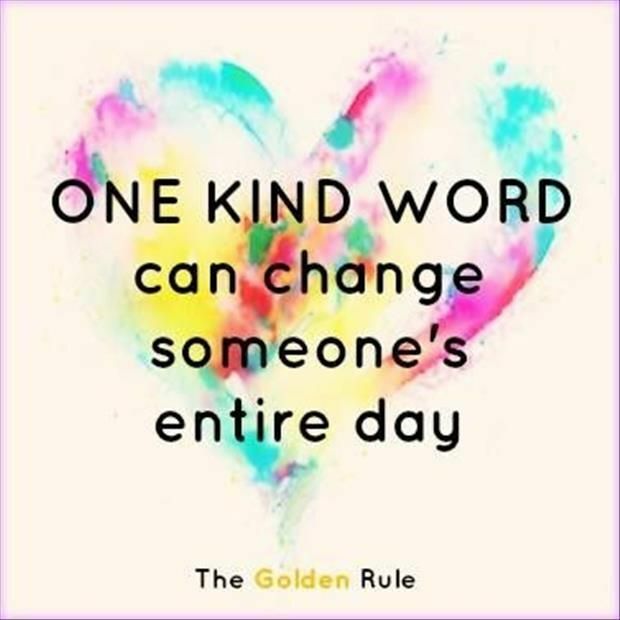 It is amazing what one word or sentence can have on a person and it is incredible to know that by doing this simplest of tasks, you could be helping someone out for the long run. My challenge for each of you out there is to speak to someone, anyone, it can be someone who you don’t really speak to, you have had conflict with in the past or just someone you simply know but just want to make them feel better and to know that they are worth it. I hope you all have a wonderful Monday, even though it is the first and worst day of the week and try to have a stress free week and keep calm when everything is thrown at you and it making you feel overwhelmed.